love, elizabethany: the real world is coming to dc! 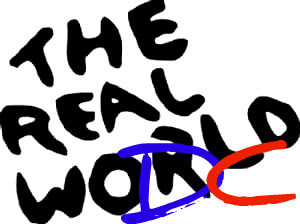 the real world is coming to dc! It's official, and it's about time! MTV's The Real World is FINALLY coming to Washington DC! This is perfect. I'm old enough to go to the bars these days, I go to DC all the time now, and.. Dun-dun-DUNNN!! Their first night is my birthday weekend!!!!! Keep your eye out for me... That goes to both my readers, and the cast.